Friendly, dependable, and affordable services from your trusted locksmith in Baltimore. Choose A Locksmith That Always Puts The Customer First. 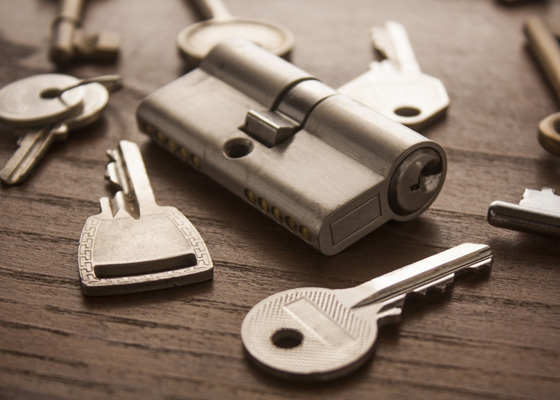 Having a local locksmith you can trust is one of the most important factors when it comes to ensuring the safety and comfort of you, your family, and your co-workers. Our team at Safeway Lock and Key is here to help you get out of what may seem like an impossible situation. Just give us a call, day or night, and we’ll provide you with further details and costs for our locksmith services in Baltimore. Why Choose Safeway Lock and Key? At Safeway Lock and Key, we understand how stressful it is to be locked out. That’s why we go above and beyond to ensure that every customer receives, fast professional service. Learn more about the locksmith services we offer below. Think back to the last time you were locked out of your vehicle. However it happened, we’re willing to bet you weren’t too happy with the situation. Perhaps you were even late to school, work, or a social outing. Even the most organized drivers find themselves locked out of their car or truck from time to time. That’s why we recommend having a reliable auto locksmith by your side. At Safeway Lock and Key, our automotive lockout services include broken key extraction, ignition key replacement, car key reprogramming, keyless entry reprogramming, and lost key recovery. Our residential locksmith takes your family’s security at home very seriously. Whether you want your locks changed out or would like to explore keyless entry systems, Safeway Lock and Key will customize a solution to fit your needs. Never will we try selling you on a product or service you don’t really need. Why wait until after a break-in to upgrade your home’s security? With assistance from Safeway Lock and Key, you can prevent such a crime from taking place in the first place. Be sure to ask our residential locksmith about new lock installation, lost key replacement, iron-gated entries, peephole installation, and other services. Your employees are your biggest asset in business. So then why wouldn’t you want to keep them protected and ensure their peace of mind while at work? At Safeway Lock and Key in Baltimore, we are proud to offer a number of commercial locksmith services. Simply come to us with what you have in mind as far as security is concerned and we will get to work. Our commercial locksmith is well-versed with access control systems, key duplication, intercom/doorbell systems, and much more. See how Safeway Lock and Key can help protect what matters the most to you. Is your current home security system no longer functioning properly? Or are you looking into purchasing a system for the first time and don’t know where to start? In either case, Safeway Lock and Key can help. Our home security professionals have options for every budget and property size. We pride ourselves in using the industry’s leading brands and manufacturers of alarm systems. Don’t forget to ask 24/7 surveillance capabilities. There’s no question it’s a smart idea to invest in your own safe. But what happens in the event that your safe requires repairs, unlocking, or general upkeep? Safeway Lock and Key also offers reliable, comprehensive solutions for all types of safes. We want to help you get the most out of your safe! Rather than waste hours trying to fix it yourself, put the problem in the hands of our experienced team. Our experienced team will have your safe working again in no time. Safeway Lock and Key is Baltimore’s one-stop-shop for locksmith service. For us, every lockout dilemma is a big deal. That’s why we treat every customer with compassion and integrity. Again, there are times when all of us find ourselves locked out of our vehicle, home, or business. So do yourself a favor and keep our contact information handy! Choose the best locksmith in Baltimore and call Safeway Lock and Key.